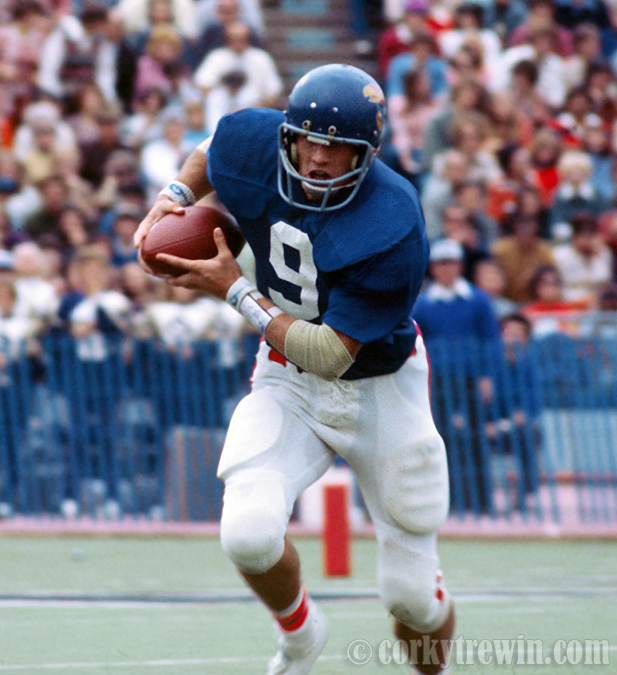 During the 1975 Big-8 football season, University of Kansas quarterback Nolan Cromwell led the potent Jayhawks triple option offense by rushing for 1,124. Cromwell was named the Big-8 Offensive Player of the Year. This entry was posted in Sports, University of Kansas and tagged Nolan Cromwell. I was in Columbia Mo. during this time…and kind of had a crush on Nolan Cromwell….and then he was a Packer coach and then he was with Seattle. Did you go to college in Kansas? p.s. I liked college football in those days…. Now, I’m much more interested in a certain pro team. Great shot of Nolan. What a player. Would you ever sell any of your photos to an individual? For private use (display in home)? Do you have any other KU football photos from this era? Thank you. Matt – thanks for the comment. I am going through all 43 years sports photos and I am sure I will come across many more images from Nolan’s era at KU, some of which will continue to appear in the daily revue images. Let’s get together to see how you and I can review images you would be interested in. Rock Chalk!! Its been awhile but I wanted to follow up and see if you’ve had a chance to archive more KU football photos from 1975-78. Not just yet, Matt, but those are on the to-do list. Do you have any shots of Laverne Smith playing at KU?